Adam bought me this beautiful Lush gift box for our anniversary this year. 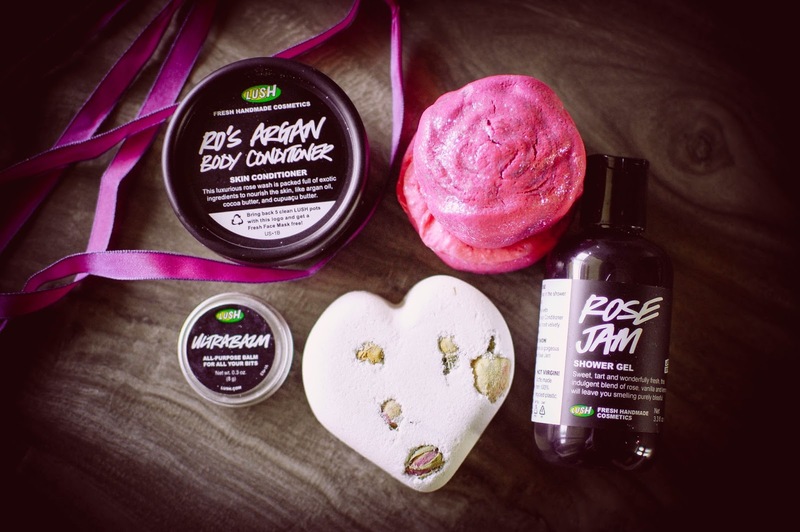 You can find it here on the Lush USA site. 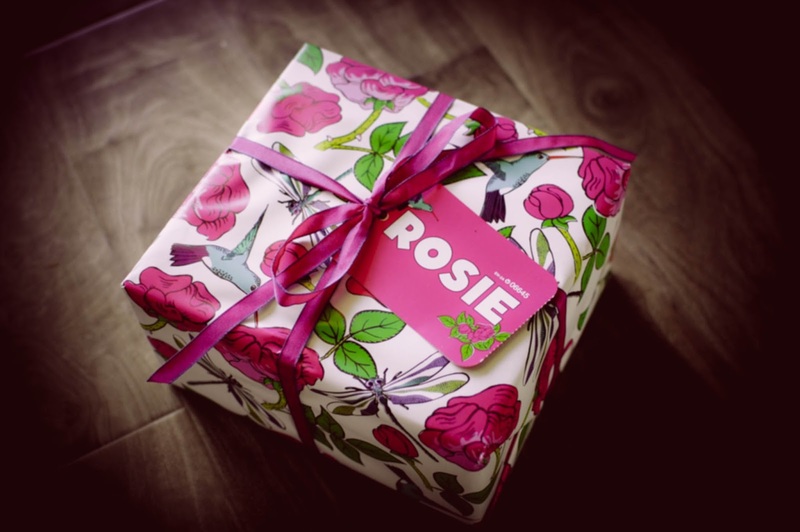 Rosie offers up five lovely products to pamper yourself both in the shower, in the bath and after for $39.95. Rose Jam is a perennial favorite and I have waded through many bottles and this one will be enjoyed just as much. Raspberries and strawberries mashed into a sweet preserve with rose petals and citrus zests. Potent and lingering and a perfect to layer with many rose perfumes. Ro's Argan Body Conditioner is built around the same scent as Rose Jam and I love using it in the shower after I shave my legs. I slather it liberally all over then rinse and pat dry with a towel, cutting out my need to lotion up my skin post-shower. Ultrabalm is a product I will use but I never really get much noticeable results from. I usually apply it to my cuticles and feet before bed. Really, the two most exciting things I rubbed my hands over in the Rosie gift box were the bath items. The Rose Jam Bubbleroon got a make over a little while back. I love the Rose Jam Bubbleroon, it bubbles like mad and smells incredible (like Rose Jam of course). It is now larger and in a rose mold shape rather than the older two mochi looking balls squished together. I love the dash of glitter and extra creamy center. Normally I would use the whole thing in one go, but since the size increased, I will split it up and get an additional use out of it. 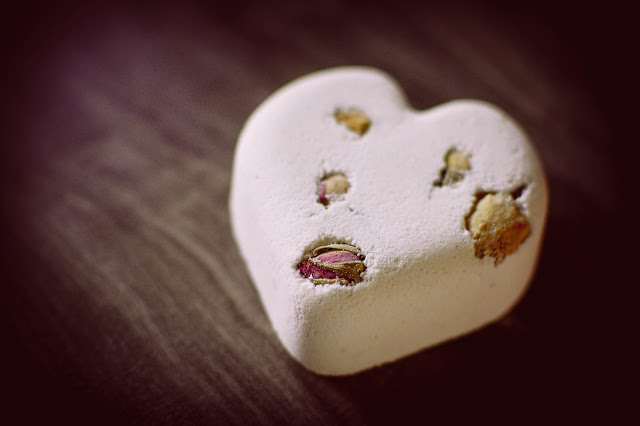 Titsy Totsy calls itself a love potion bath bomb that is imbued with the scent of rose and orris root. I have never had this particular bath bomb but I really enjoyed it. It had a much darker and soft rose and leather scent than Rose Jam. I would say it is different enough that I would love it in a shower gel. But then again, I do love orris root. 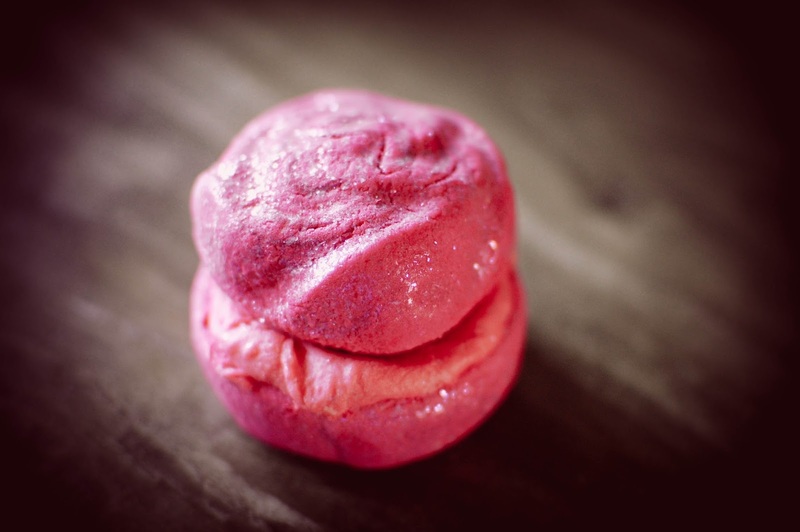 Have you had a Lush splurge lately? Do you enjoy Rose Jam? Have you tried Titsy Totsy? Very nice gift box!! Sounds like Adam made a good choice! I've slowly come around to the Rose Jam fan group. :) I kept using my body conditioner because I didn't want it to go to waste and one day I realized I actually liked the scent. Great gift box! I do have to agree about ultrabalm, though. I hardly notice a difference when I use it. YAY! LOL! Rose Jam really does have a pretty side. How cool that you gift your mom Titsy Totsy. It has moved up into one of my favorite bath bombs for sure. It really is a nicely curated gift box. I am ready for a Twilight themed gift box. I miss having that shower gel.